So, it's Halloween night. Your yard looks bomb. You've got all the spooky elements a trick-or-treater could want. You set the scene with cotton spiderwebs threaded throughout your porch. Little tissue ghosts hang from your bushes. Spooky bats are stuck to your windows to hint that the inside of your house is also pretty spooky. Maybe you even have a few spooky noises coming from a hidden speaker somewhere in your lawn. And most importantly, your jack-o-lanterns are lining the stairs up to your door. You put a lot of thought into those spooky pumpkins. So, here's the thing, are you going to throw a dangerous, dim candle in your new gourd friend? No, we think the little Halloween wonderland that you've created deserves something much more exciting! 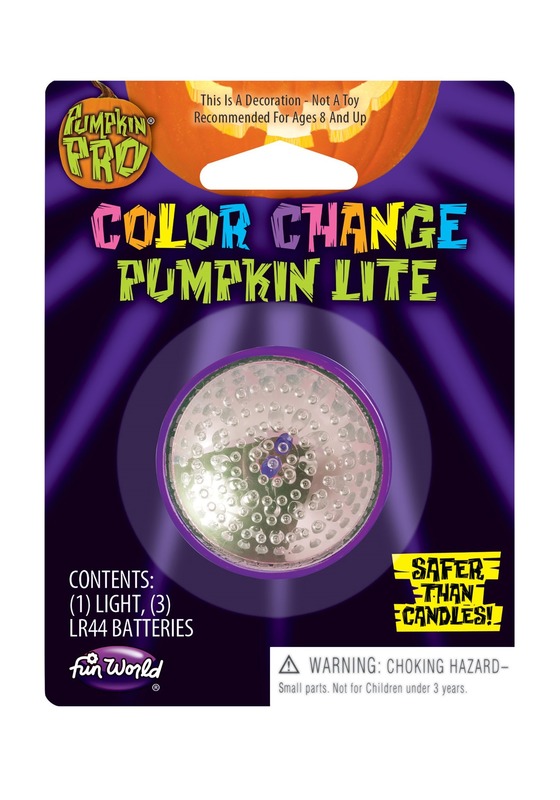 This light will give your pumpkins a colorful twist! Much safer than traditional candles, it can be set inside a jack-o-lantern all night and you don't have worry about it. The light changes color, giving the spooky scenery a unique aura that flickers from inside your gourds. Isn't it funny that while we love all the spooky stories that start with a stormy night, Halloween night always seems to be a chilly yet crisp evening? So it's up to us to set the stormy scene for those ghouls and goblins that are wandering the streets. And when it comes to creating an eerie atmosphere, we all know the devil is in the details!